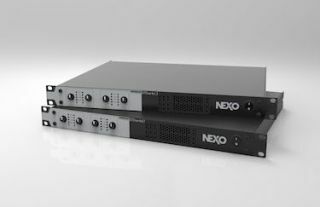 The What: NEXO France is launching two new 4-channel amplifiers from the ISE Show in Amsterdam: the DTDAMP4x0.7 and DTDAMP4x1.3. The What Else: The DTDAMP4x0.7 and DTDAMP4x1.3 4-channel, 1U rack-mounting amps are available in 700 and 1300-Watt models (4x4 Ohms), each weighing in at 16.5 pounds. Channels can be independently bridged two by two. Four Inputs are available via XLR with four outputs on NL4. The DTDAMP is built with the sensors and protection that NEXO deemed necessary for a professional amplifier, such as mains over/under voltage, over-voltage or DC output on each channel, short circuit, etc. The variable speed cooling system helps to quiet and cool the amplifier while the front to back cooling system facilitates compatibility inside racks where both DTDAMP and NEXO NXAMPs are used together for large installations. The Bottom Line: DTDAMPS can be used as generic gain blocks, but when combined with NEXO’s DTD Controller, they can function as a companion for PS boxes, LS subs, the ID24’s, and small format GeoM6 rigs. Used together, they form a 2U package for input and output control of smaller NEXO products.